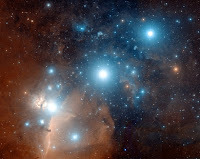 "Sheppard Gallery is pleased to announce Orion's Belt. This exciting multi-media exhibition converges on the intersection of health, technology and mythology. The exhibition attempts to ask many questions: How do we tell the stories of our health in the age of technology? How do we attempt to bring the outside world (machines, medicine, etc) inside our bodies in order to understand and possibly heal ourselves? Where does science fiction and reality meet? How is health understood in different cultures represented in Reno? Is health a myth?"